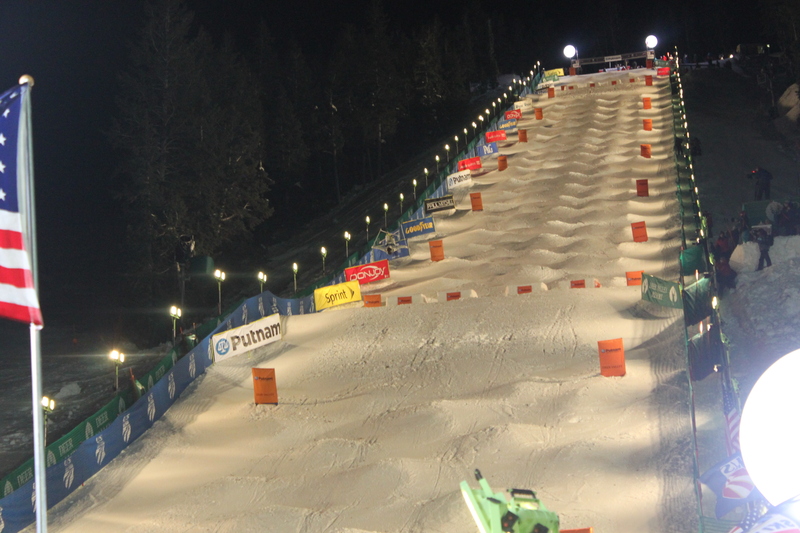 From the bottom of the Dual Moguls World Cup course on Champion ski run, the moguls look big. In fact, they look really big even from far away. Imagine what they look like to the athletes facing them down the run. The skiers don’t go around them either, they slam right into the side of them one after the other. All the while, (I am assuming) contemplating their aerial moves and focusing on competing against another racer right next to them. It’s crazy fun to watch. I don’t know about you but I doubt I’ll ever ski this run or anything like it (other than carefully peering over the edge). So I decided to get some perspective on how high the moguls might look to the athletes by making some comparisons with items we see every day in Park City. 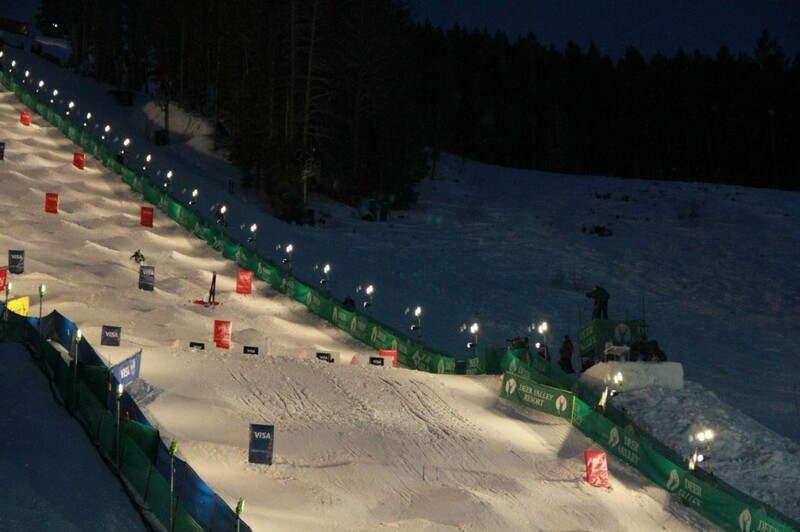 I read the moguls can run as high as 1.2 meters which translates to about 3 feet and 11 inches. Pulling out the measuring tape, I figured that 3 feet hits me right at the belly button and if the course set them up at maximum height, the additional 11 inches brings them to about chest-high on me. How would that look staring down at it? 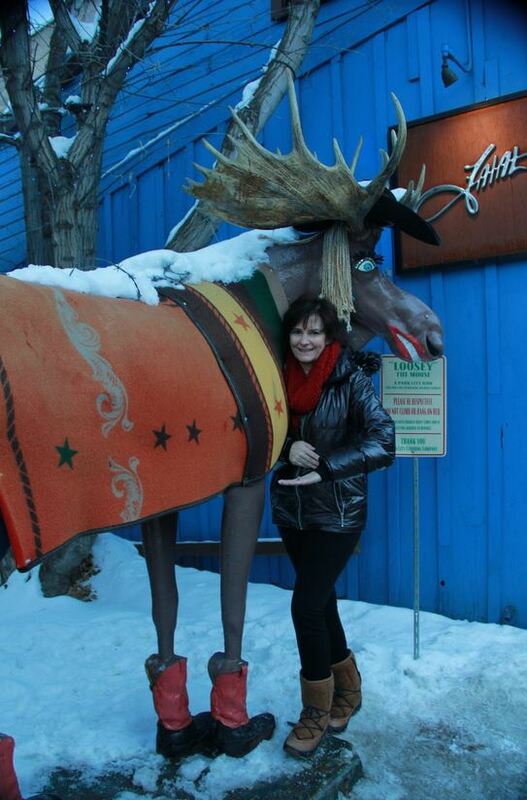 I won’t ever know but here are a few photos showing comparisons for about 3 feet high – my waist level. Would moguls this high, (on a steep run) be a problem for you? 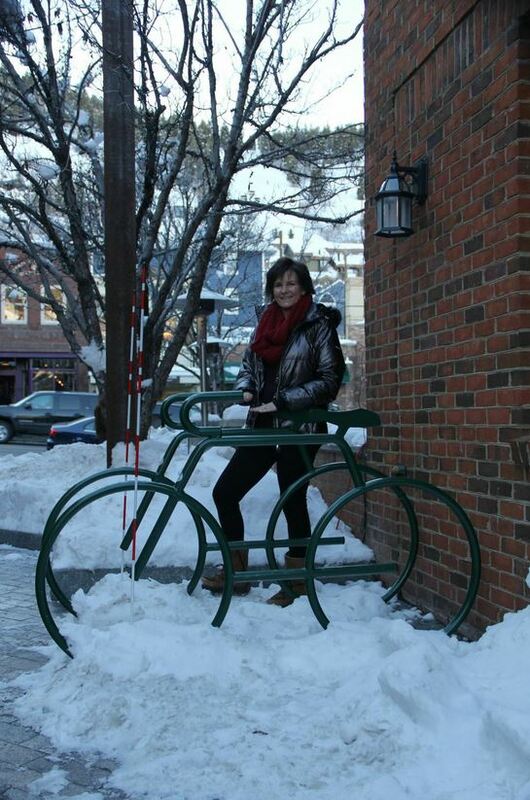 Would you like to ski the top of this bike rack? 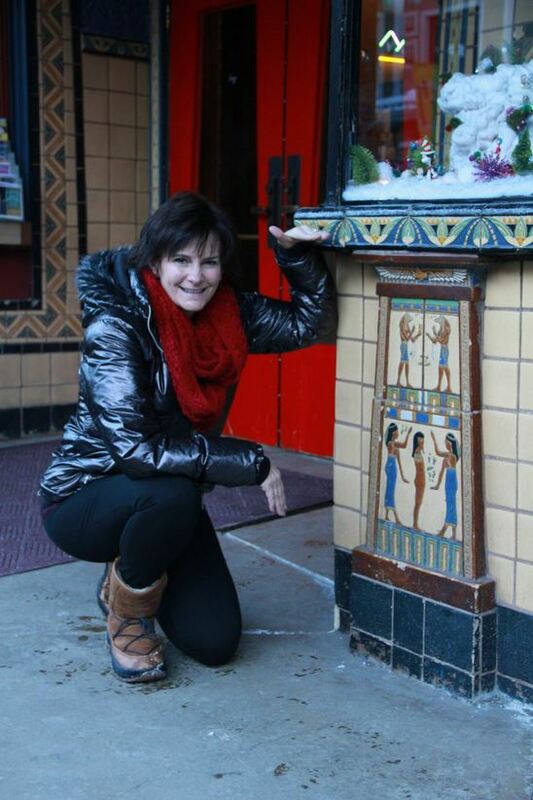 The box office at the Egyptian Theater? 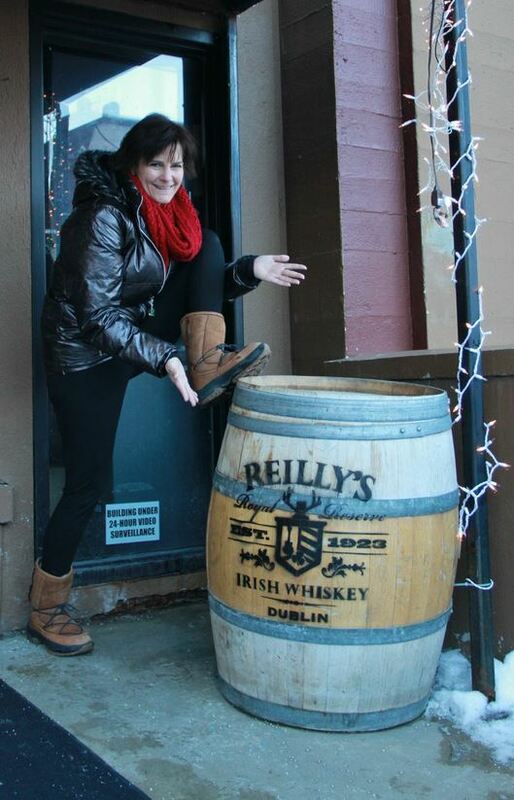 A whisky barrel at Rock and Reilly’s Pub? Not tall enough for you? How about moguls this high? 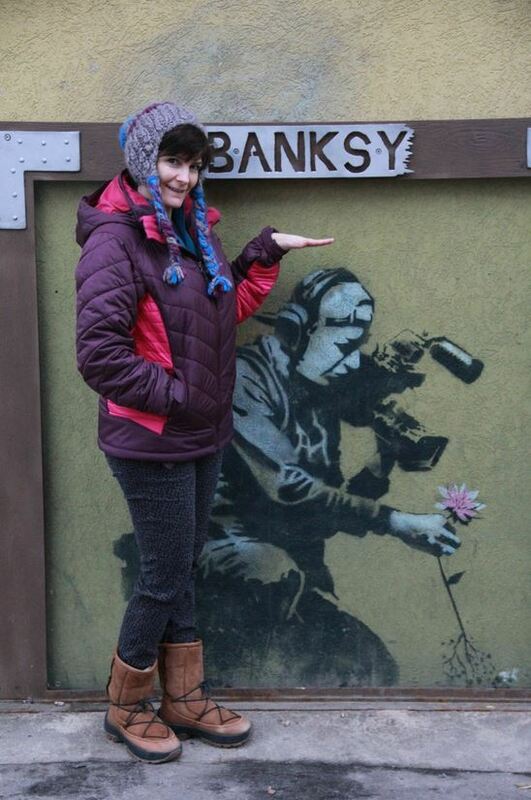 Would you be intimidated jumping the Banksy? 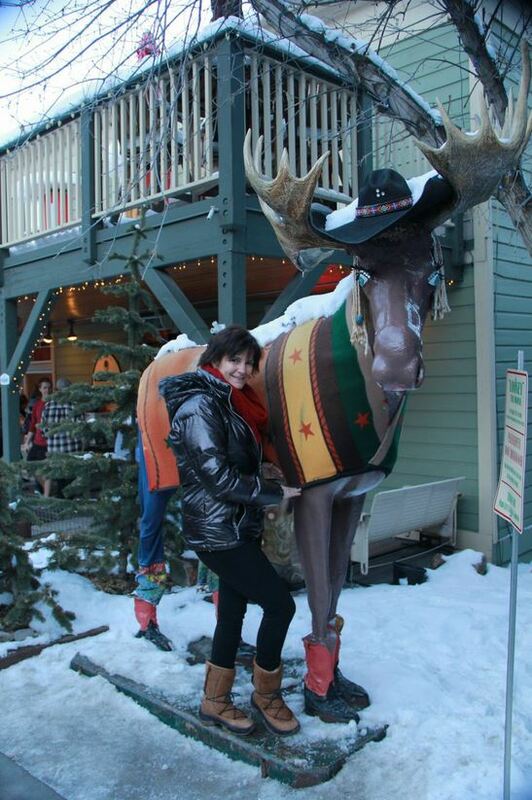 How about the ski rack at Snow Park at Deer Valley Resort? Enjoying the World Cup Dual Moguls with the crowd at the base of Champion ski run is exciting enough for me. Congratulations to winners! Check out footage of the women’s final here. 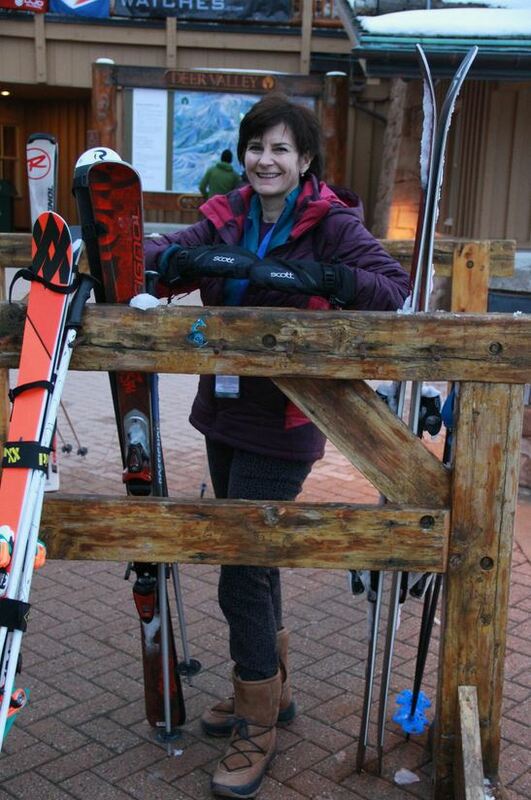 If you ski the Champion ski run off the Carpenter Express chairlift, let me know how it goes for you!